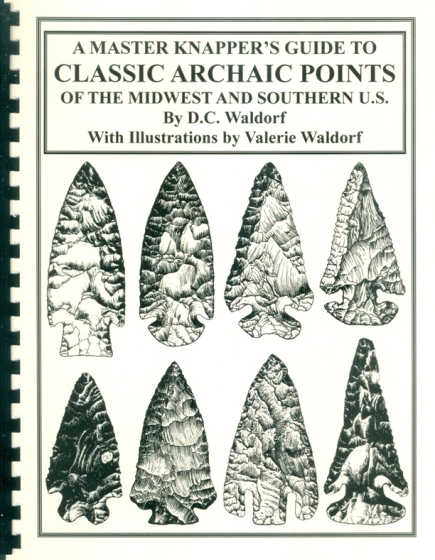 A MASTER KNAPPER’S GUIDE TO CLASSIC ARCHAIC POINTS OF THE MIDWEST AND SOUTHERN U.S. The Archaic period in the Midwest and Southern US was a long stretch spanning some 7000 years, from roughly 8000 to 1000 BC. During this time side notched, corner notched, basal notched, and many forms of stemmed points were developed and used. Due to the sheer number of classic types to be covered in this third volume of the Master Knapper’s Guide Series it is mostly focused on those from the Early and Middle subdivisions of that great period. Also, due to the amount of material presented, this book is larger than the first two volumes. As with those first two books the goal is to continue to present illustrations of old original specimens that would be useful as guides and templates for the modern flint worker and to surround them with an informative text that draws attention to the details that are of most interest to knappers. Also, for comparison with the 183 old points shown there are 63 examples of reproductions made by the author and some of the best modern flint craftsmen. With the exception of a few schematic sketches and a number of photo-scans, the majority of figures in this book are the fine line art done by the late Valerie Waldorf. This work is as much a celebration of her unmatched abilities as an illustrator of archeological material as it is of the artifacts themselves. 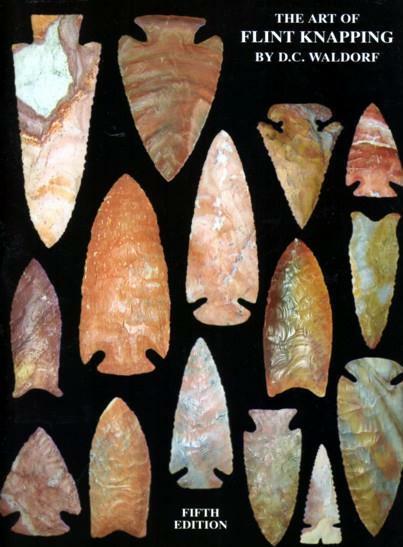 The favorite Early Archaic points covered in detail are Hardin, Dovetails, Thebes, dogleg notched points such as Lost Lake and certain Ohio Archaic bevels, E-Notch points, Bolen Bevels, corner notched points from the Kirk Series with a special section on making serrations, and Decatur fractured base points with an additional section on how the base and stem side fracturing was done. Other early types covered are the newly defined Thebes Gap points, Cache River, Graham Cave, lobed base and bifurcated points, and basal notched points like Calf Creek, Bell, Andice, and Smith. Points from the Middle Archaic are the common corner notch, common side notch, the big side notches - Ocseola and Hemphill, and the large stemmed points - Etley and Stone square stem, and Benton. In addition to these are some stemmed varieties from South Georgia, and Florida. Since so many Archaic points are notched the last section of this book is totally devoted to that subject. 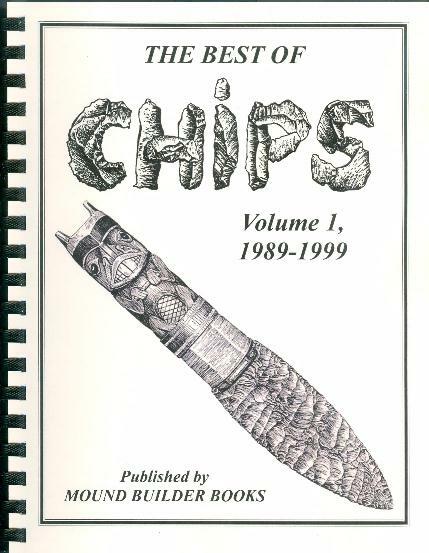 Herein the author draws upon his 50+ years of knapping experience to elaborate on “The Ins And Outs Of Notching.” Comb bound, 82 pages with 242 illustrations and 18 photos. Price, $18.